The library has resources and materials - just for kids! - available free with your library card. 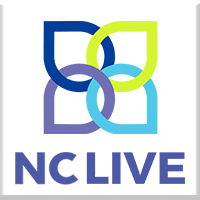 Student enrolled in public schools in Jackson, Macon, and Swain counties also have access to most of our resources using their student ID / lunch number (more information about StudentAccess). Children are also eligible to apply for a library card with a guardian's permission. Fontana Regional Library patrons can access our Kanopy Streaming Video Library - Kids Catalog, your source for educational and entertaining children’s programming—free to watch! Fontana Regional Library and Kanopy have partnered to bring you Kanopy Kids, featuring hundreds of enriching videos available to stream whenever you want. Kanopy has partnered with Common Sense Media™ to provide developmentally appropriate age ratings to help you decide what to watch. Visit fontanalib.kanopy.com to start streaming or drop by the library for more information. Each library card user is issued 10 play-credits a month. After using a play-credit, you can watch a film as many times as you'd like in a 3 day period. Teachers & Educators can also show Kanopy videos to their classes without concern. Kanopy videos can be watched in a group forum, as long as it's not for commercial benefit. 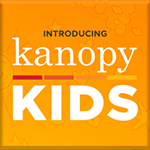 Find out more about Kanopy Kids. To access Kanopy Kids, first login to Kanopy then click on the "KIDS" button in the top right of the page. 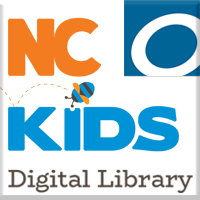 Designed for kids in pre-K through 4th grade, NC Kids Digital Library includes eBooks, audiobooks, videos and Read-Alongs you can access online or through the OverDrive app, Libby, from virtually any computer, tablet, or smartphone. These materials are instantly available for anyone with a library card and internet access via a computer, tablet, or smartphone. For more information about the OverDrive App & for Help Resources, visit our eBooks page. Check out the Never-ending Reading Collection for a list of always available books and resources. These eBooks can be check out anytime and there are no checkout limits- great to use for the classroom or book club who wants to read together! News content from many national and international newspapers, newswires and selected news magazines. U.S. Newsstream enables users to search current U.S. news content, as well as archives that stretch back into the 1980s. It features top newspapers, wires, broadcast transcripts, blogs, and news sites in full-text format. U.S. Newsstream provides key national and regional news sources from the U.S. and includes exclusive and preferred access to top titles, including The New York Times, the Wall Street Journal, Washington Post, Los Angeles Times, Boston Globe, Newsday, and Chicago Tribune. All titles are cross searchable on the ProQuest platform.